Khanid Prime – Queen Zidarez Khanid claimed the successful pacification of Kahah in an interview with Dark Amarr News today, her first public appearance since the Deathglow bombings and slave rebellion in that system. Queen Zidarez, seemingly quite recovered from her injuries, also spoke of her experiences on Kahah III when the chemical attacks began. When questioned on the crisis, Queen Zidarez said that Khanid forces had "eliminated all remaining rebel strongholds" and claimed that they were "no longer a significant threat." She went on to thank the Khanid troops currently fighting in the system. She also expressed gratitude to Sardar Marshal Soshan Fayez, overall commander of the Khanid forces in Kahah, and highlighted the efforts of the 7th Asbara Cyber Knights, 19th Royal Uhlans, and loyal capsuleers for their "great service to the Kingdom's defense." "The men and women on the ground handled the pacification campaign with expertise and finesse," Zidarez said. "Despite the exaggerated claims of foreign agitators seeking to profit from the situation, casualties on the surface have been kept to a minimum – three hundred thousand, perhaps fewer. While that's somewhat higher than the Mabnen toll, it should be noted that on this occasion the Blood Raiders launched their attacks on several planets at once. Their new weapon was also even more disruptive and rather deadly to our workforce." Mabnen I is a planet in the Amarr Empire's Throne Worlds that was the site of a similar Blood Raider attack in YC107. The attack, resulting riots and military clampdown claimed an estimated hundred thousand lives. The Scope is unable to verify Queen Zidarez's claimed casualty numbers. The Khanid Kingdom is notoriously secretive about its total slave population, though others claim this masks lax practices, and has restricted reporting of the situation, making difficult to accurately assess the total number of casualties. Independent analysis from groups such as the Servant Sisters of EVE and the University of Caille suggest far higher numbers, with overall estimates between 2 and 9 million. These estimates include both slaves and freepersons, across all planets of the Kahah system. When asked to comment on claims from the Minmatar Republic's Inner Circle delegate, Keitan Yun, that the rebels were fighting for their freedom rather than because of the chemical weapon effects, Zidarez rejected the assertion. "Our people are devoted and peaceful. Kahah's workers were not just waiting around for the opportunity to rebel." 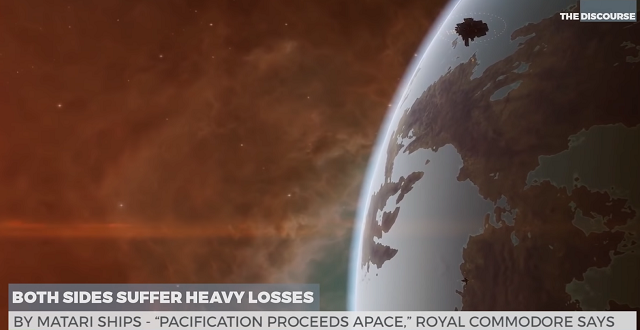 Despite the claims of victory from Queen Zidarez and Imperial outlets like DAN and ACN, sources in the Kahah system claim sporadic violence is still ongoing. The remnants of the rebel forces on Kahah III, now identifying themselves as the Kahah Free Army, and reportedly joined by a small number of Kahah militia defectors, have continued to carry out insurgent attacks across the planet. King Farokh Khanid III has not yet publicly addressed the uprising, but is reported to be in regular contact with Empress Catiz I and the Amarr Empire's delegate to the CONCORD Inner Circle, Captain Marshal Sirdan xer Qosh. The other five Royal Houses of the Amarr Empire have not yet commented but are rumored to be digesting the remarks of the Khanid Queen. Even so, Queen Zidarez is not the only Amarrian noble to speak about Kahah and other recent chemical attacks. Many Amarr noble houses have released statements, with most condemning the violence and the involvement of Blood Raider cultists. Some houses, mostly from the Kador, Tash-Murkon, and Sarum territories, have proclaimed solidarity with the Khanid Kingdom and its response. Others, especially houses aligned with the Ardishapur and Kor-Azor families, have criticized its actions as needlessly brutal.